Hailing from Yorkshire, Waxman Ceramics have been supporting the construction, pool and design industries for over 30 years, growing to become one of the UK’s largest suppliers of pool tiles and mosaics as well as large format wall and floor tiles. This week they pay us a special visit and talk more in-depth about one of our and their favourite trends – the terrific Terrazzo! Did we grab your attention already? Keep reading then. As a trend, Terrazzo has never quite disappeared off our radar and we were so pleased to see it making a comeback in a big way in 2018 with no signs of the trend slowing down in 2019. So what is it about this ‘speckle effect’ that keeps our customers coming back and just where did this design come from originally? Traditional terrazzo is a composite material created using a mix of marble, quartz, granite, glass (amongst other materials) which are then set using cement or resin. Although deriving from the mosaic artform we’re familiar with, instead of being placed in a specific pattern, together these chips are mixed to create their own unique blends of colours and shapes. It is this sporadic pattern that we feel gives each space a sense of individuality with endless patterns and colours to suit almost any theme. With origins dating back to ancient Egypt, the trend began predominantly in 16th century Italy as a cost-effective alternative to real marble. Broken chips of marble would be mixed with cement and used to create dazzling flooring designs with no two floors the same. It wasn’t until the 1920’s that the trend soured in popularity after being brought to the USA in the late 1890s. With the Art Deco movement in full swing, Terrazzo became a solid favourite for those wanting to create the illusion of luxury – lending itself perfectly to the more stylised geometric design cherished by the era. This surge in popularity even led to its use on the Hollywood Walk of Fame with each star utilising a coral-pink Terrazzo design bearing each celebrities name. 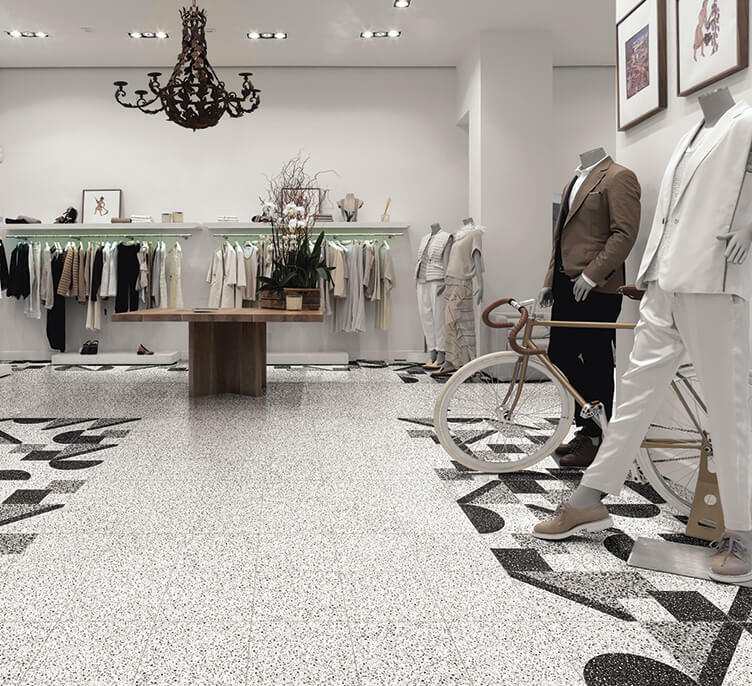 Some of our favourite uses of Terrazzo include the California, Tokyo & Hong Kong Disney parks and more recently the Valentino men’s flagship store in Paris. Due to a mix of two of the most expensive materials – marble and granite and the need for professional installation, traditional Terrazzo has fallen out of fashion in favour of an easier to maintain alternative – porcelain tiles. 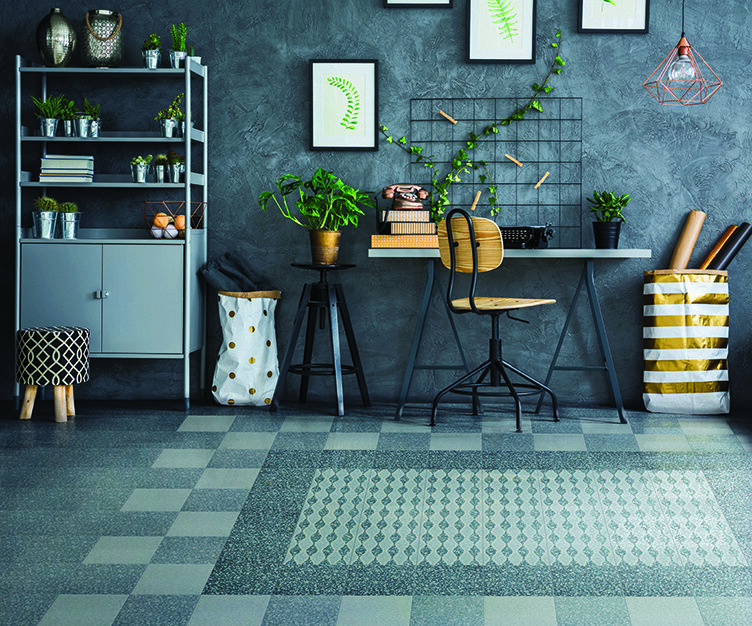 At Waxman Ceramics Architectural Tiles we have a growing range of Terrazzo effect tiles which in 2019 alone have proved a huge hit with customers in both commercial and residential developments. Utilising digital print technology and textured or natural finishes, we are able to provide our customers with authentic looking Terrazzo walls and floors at a fraction of the cost. By choosing a porcelain tile, not only are you reaping the benefits of being easier to install and maintain but porcelain is much more resistant to wear and tear making it a great choice for high traffic areas. Thanks to its porcelain alternative, we have certainly seen a rise in demand for Terrazzo tiles which is swiftly becoming the pattern of choice for large commercial spaces including airports, supermarkets and retail outlets, as well as smaller residential projects looking for a luxurious look and feel. As part of our Architectural Collection, we’re pleased to stock a growing range of porcelain tiles designed to replicate authentic Terrazzo in endless patterns and colours. Below we have selected our top three ranges suited to a multitude of projects from retail to leisure and hospitality. A firm favourite with our customers in the retail industry, ‘Monumenta’ is perfectly designed to offer a more traditional Terrazzo look. Available in three colour options; black, white and grey, the popular porcelain tile adds a touch of class and sophistication to commercial projects. Aiding its suitability for larger developments, Monumenta’s decor tiles allow abundant possibilities in its application with nine unique patterns including stars, circles and stripes. Brand new to our Architectural Collection Vol 2. is Bordeaux which is available in 10 colour options and 10 individually designed decor tiles. Used together or alone, Bordeaux’s 20x20cm range offers unlimited design potential to create a unique space in both residential and commercial environments in need of bold design intended to be the main focus of the room. Largely versatile, Canyon benefits from 4 different size options in two widths lending itself perfectly to even the most challenging specifications. As well as being available in a natural finish, both the Grey and White options are available in both anti-slip and as a 20mm outside paver. Part of the Waxman Group, Waxman Ceramics Architectural Tiles is the architectural division of Waxman Ceramics. Specialising in large scale projects, examples of our work can be seen throughout the United Kingdom from Kensington Palace to Heathrow airport – with no project too big or too challenging. Working closely with a vast range of industries including; high street brands, hotel chains and sporting venues we pride ourselves on only offering the highest quality tiles and accessories combined with a fast and dependable delivery network. 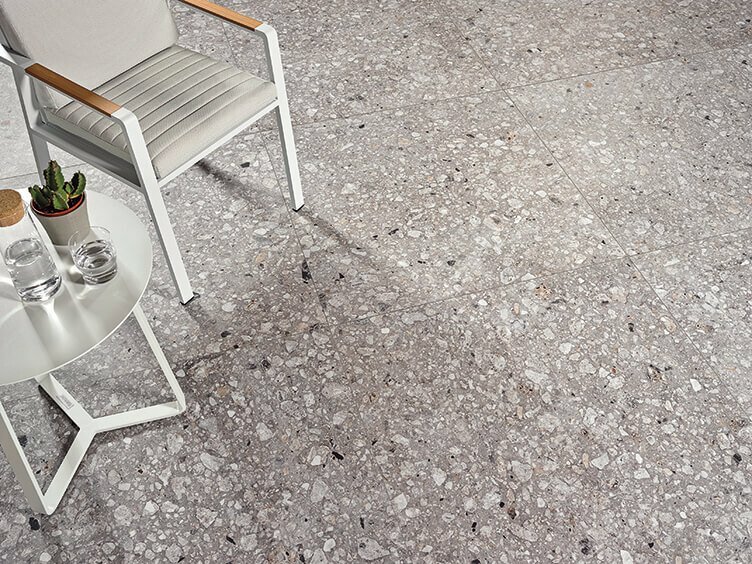 THE COMEBACK TERRAZZO-EVERYTHING YOU NEED TO KNOW! Waxman Ceramics pay a special visit to Temza Blog and talk more in-depth about one of the favourite trends - the terrific Terrazzo!